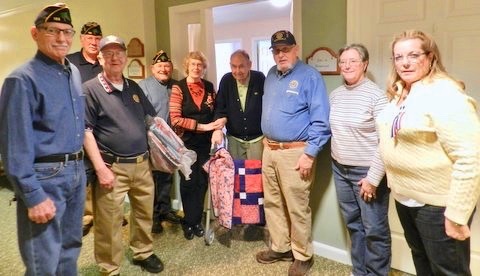 Along with the Ladies from SewiN4Servicemen. 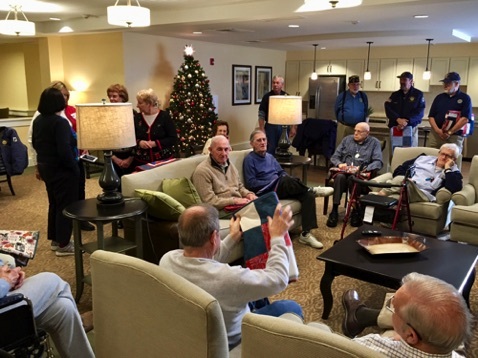 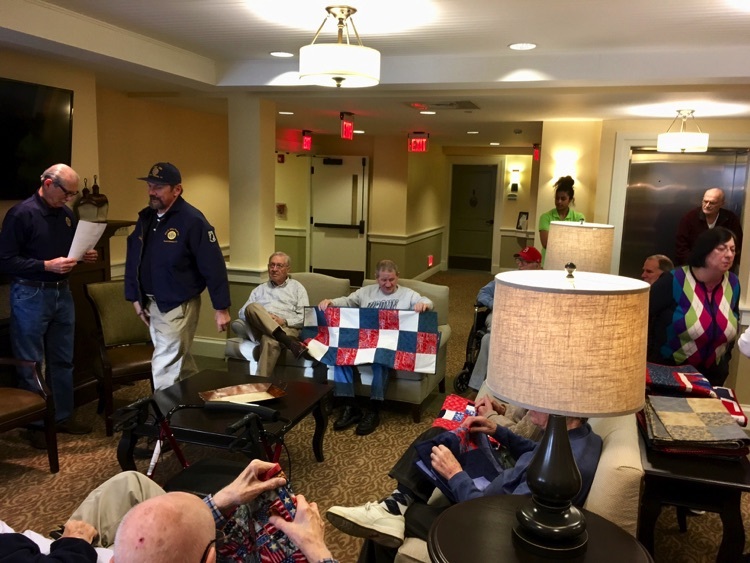 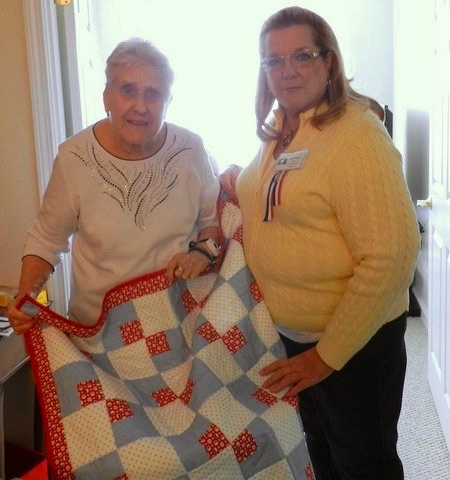 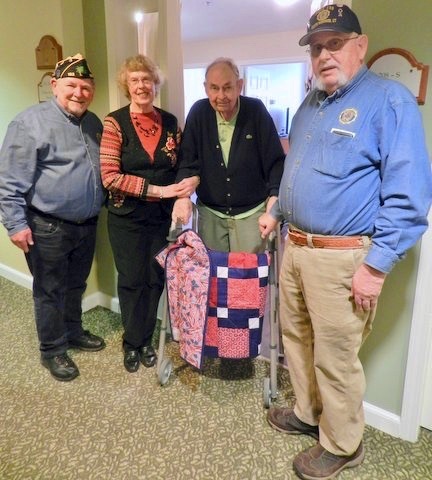 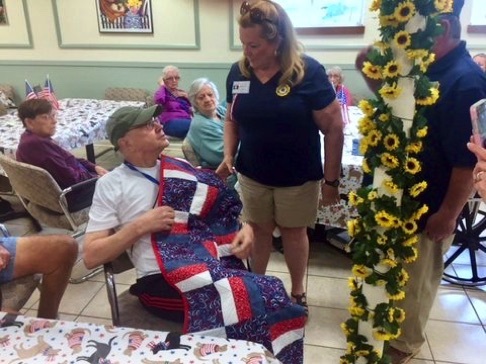 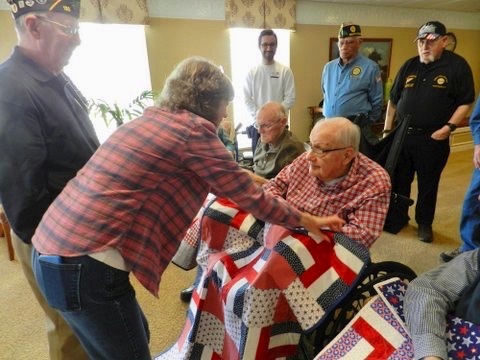 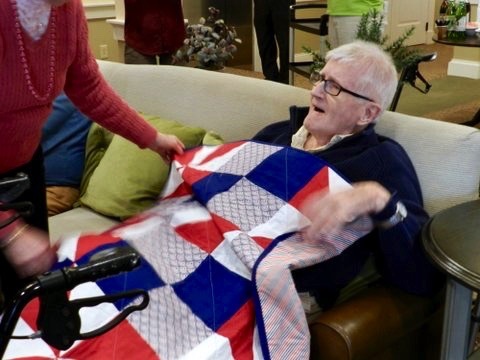 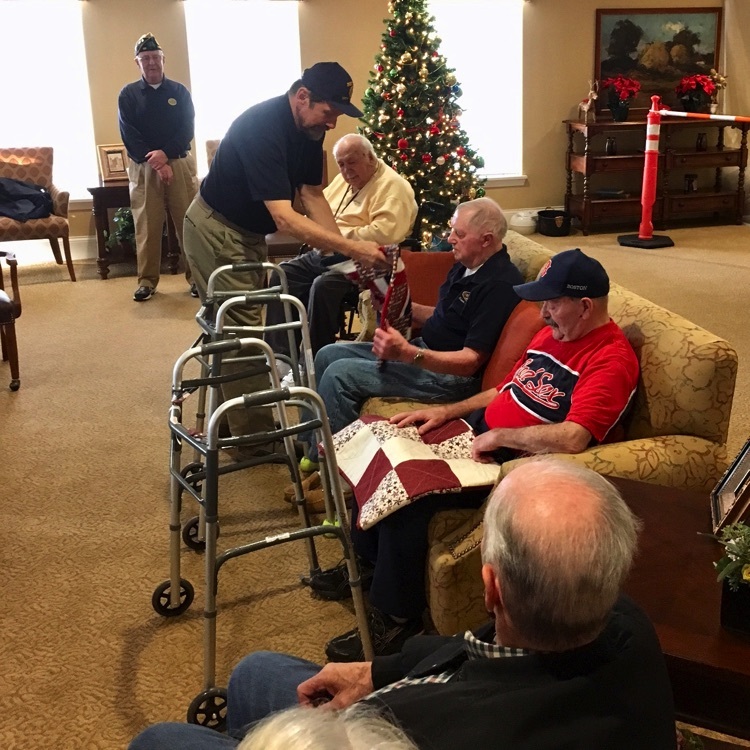 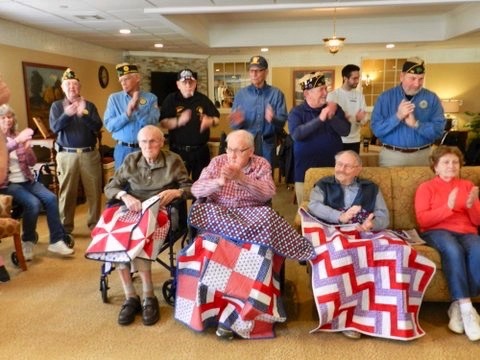 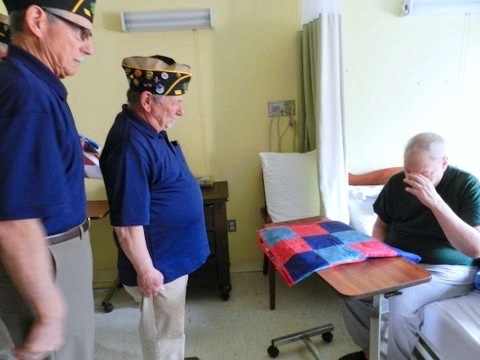 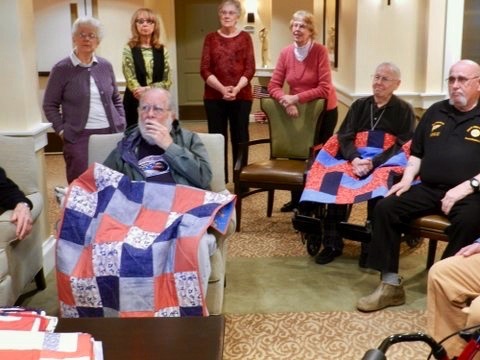 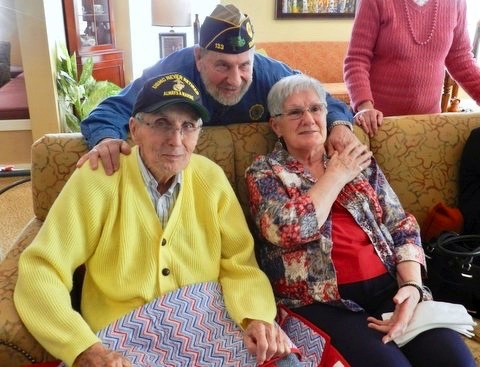 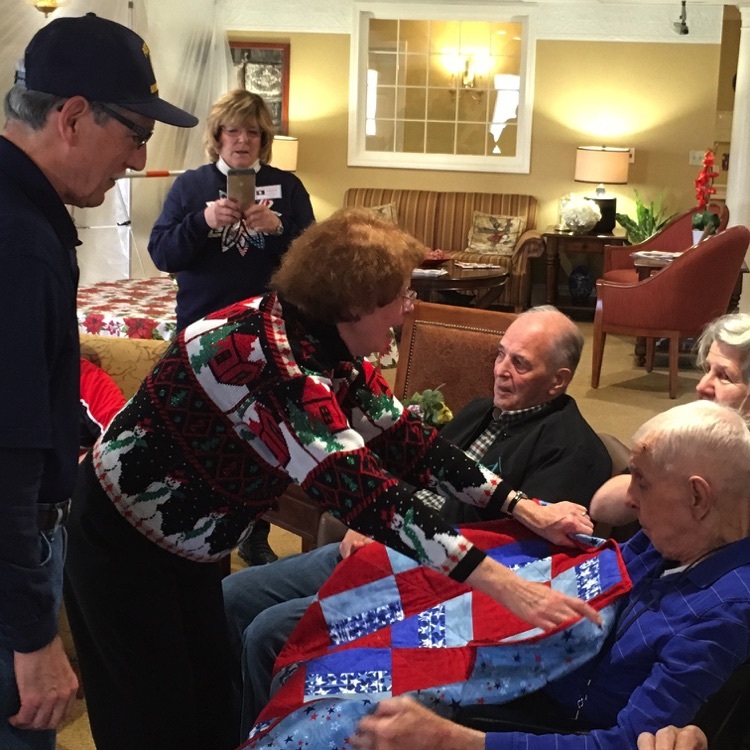 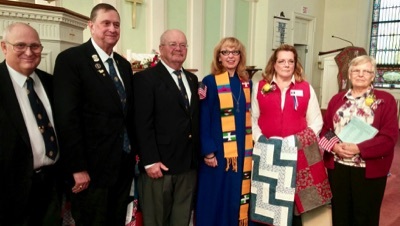 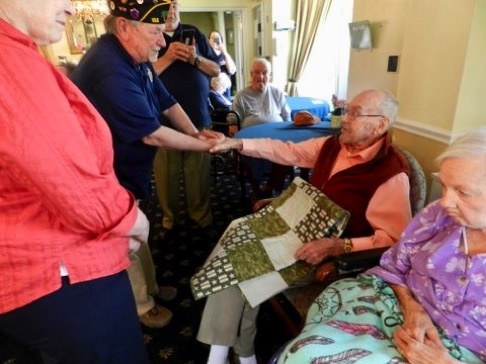 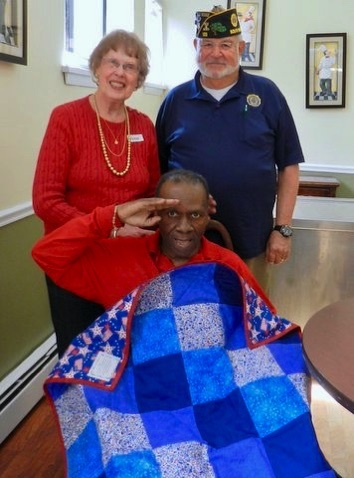 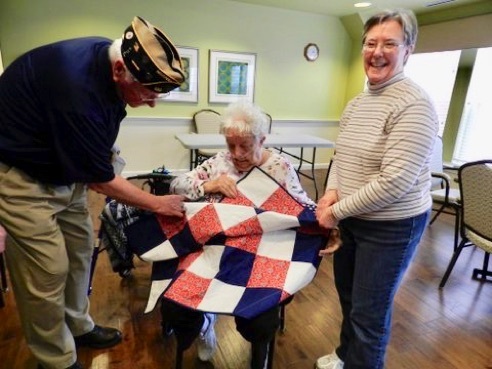 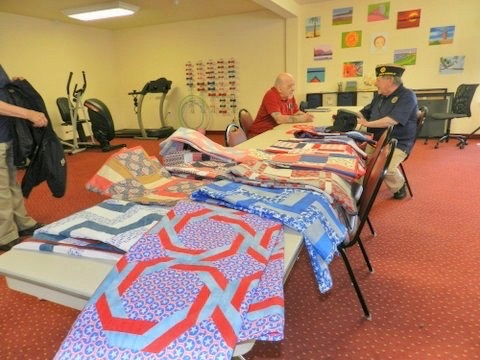 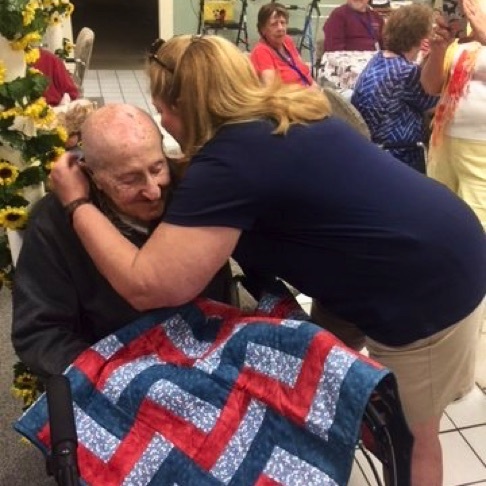 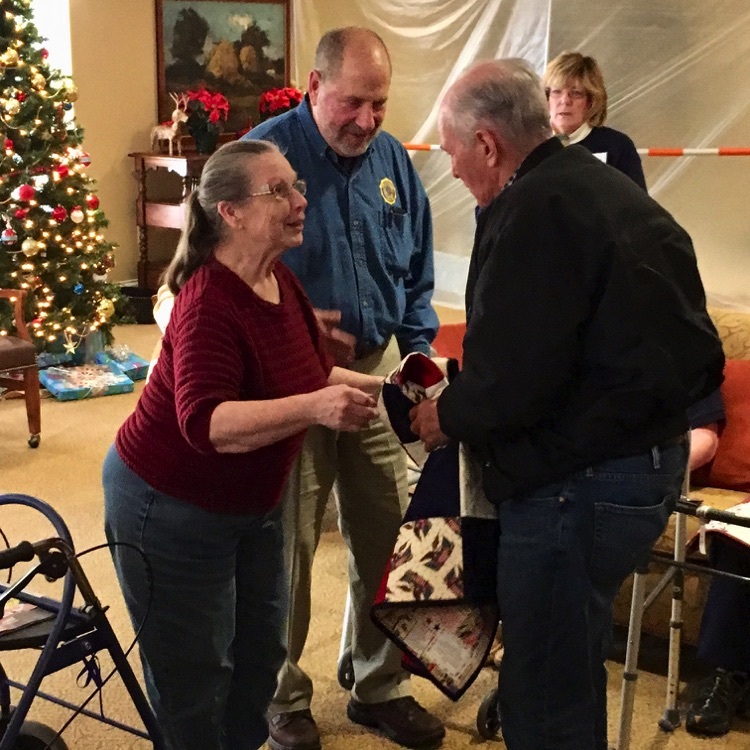 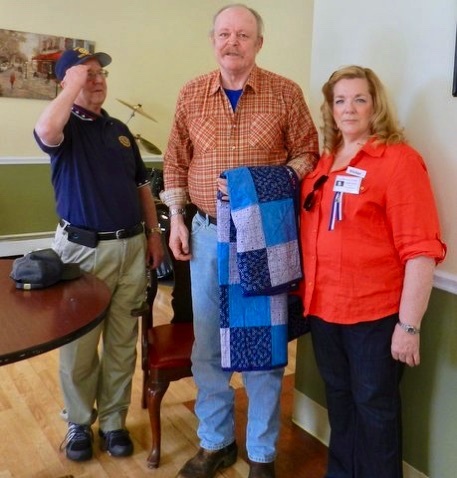 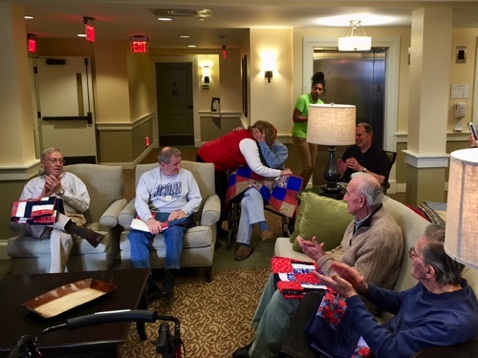 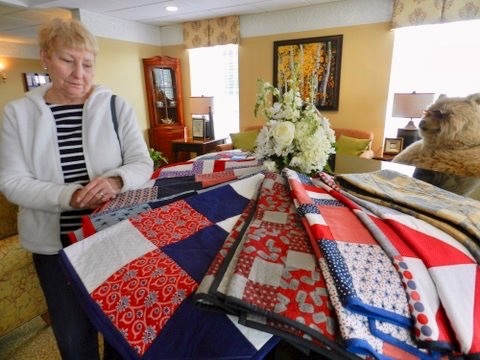 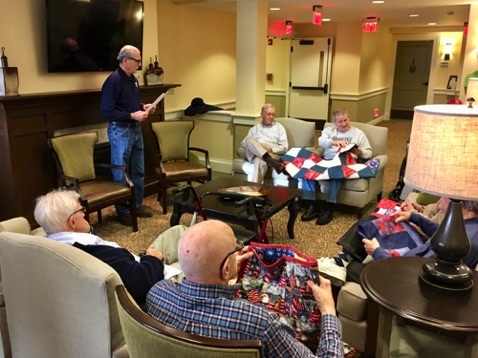 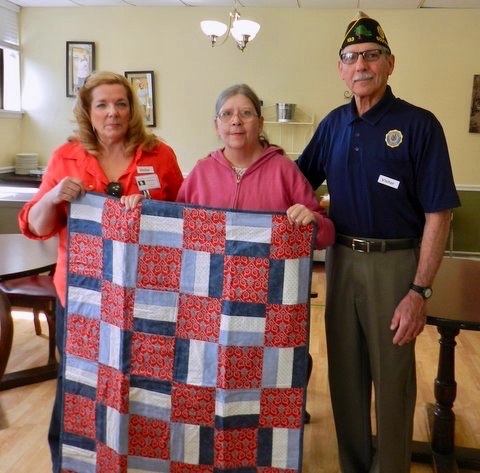 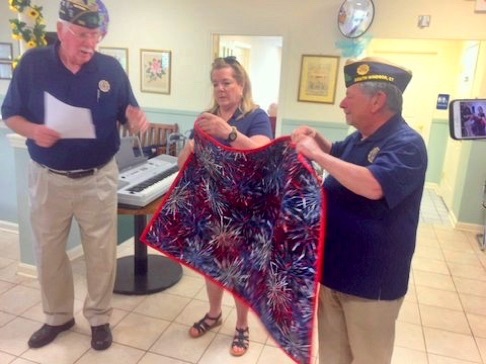 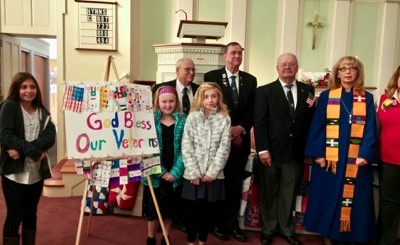 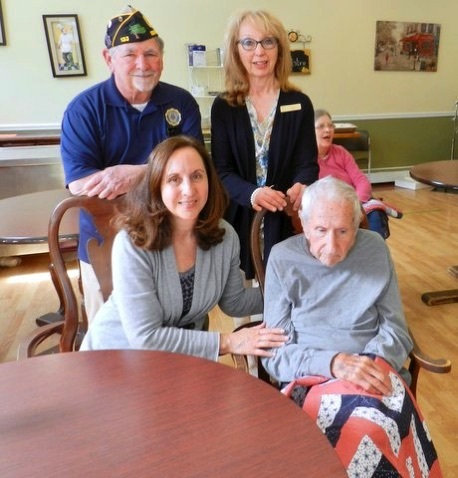 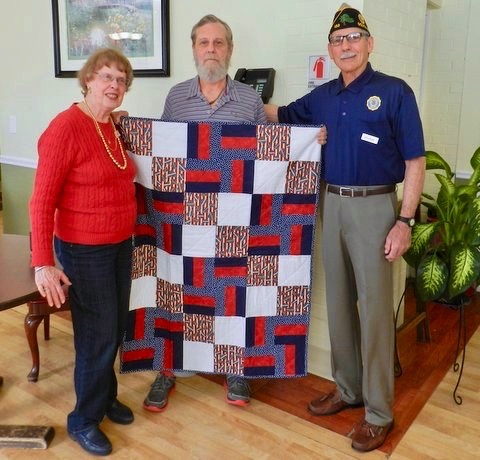 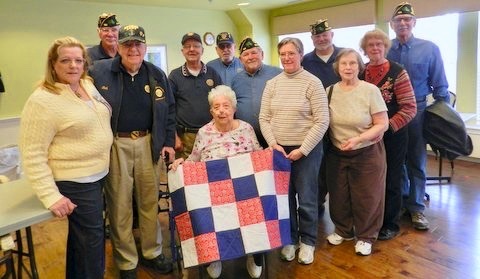 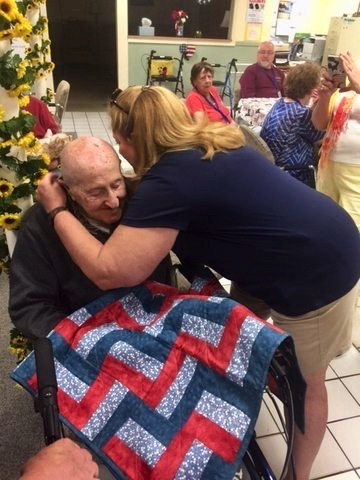 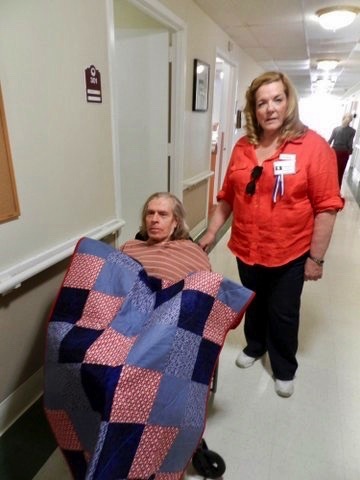 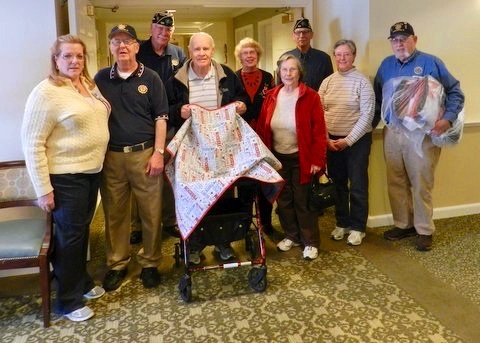 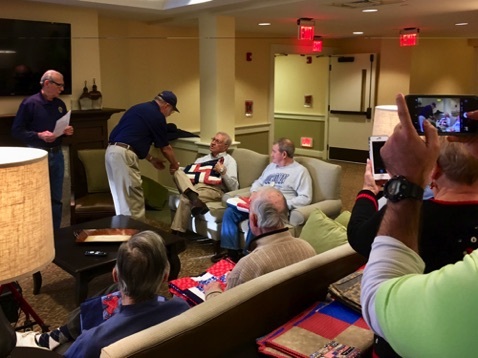 Lap Quilts - hand made by the "SewiN4Servicemen" group of the First Congregational Church of South Windsor are distributed by members of Post 133 and representatives of the "SewiN4Servicemen" group to veterans residing at all assisted living residences & nursing residences in South Windsor and surrounding towns. 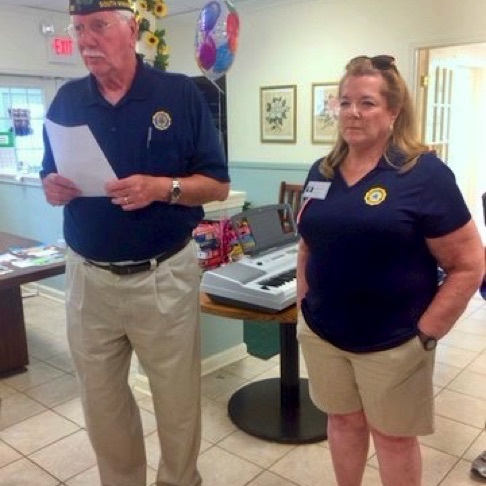 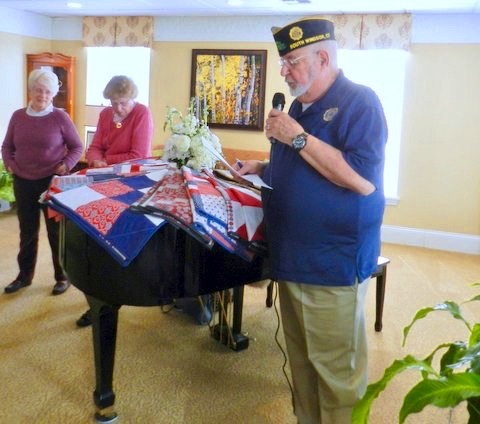 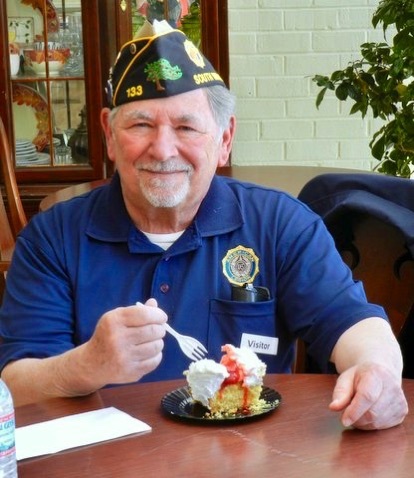 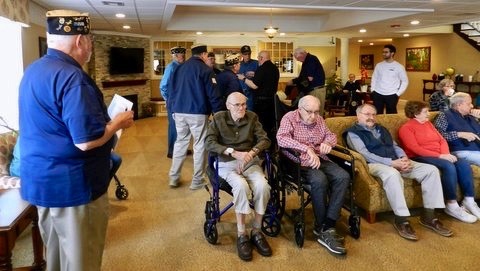 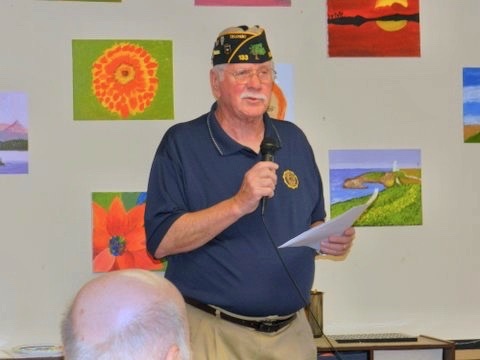 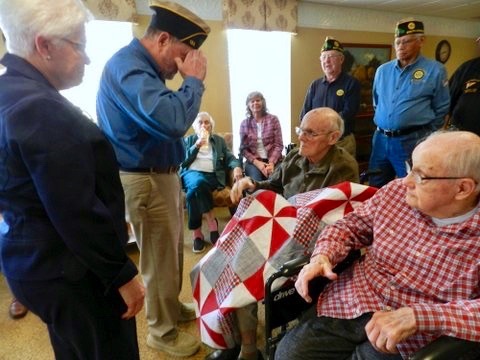 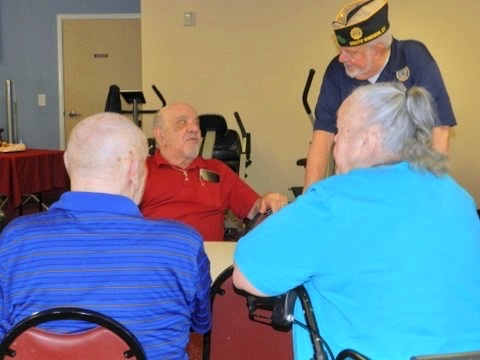 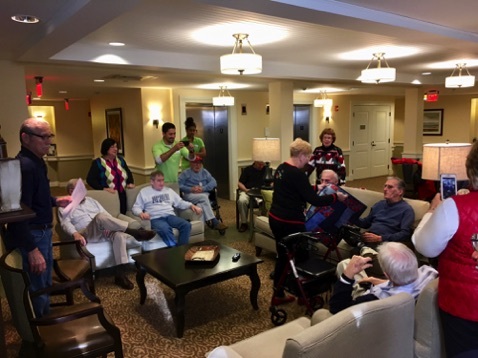 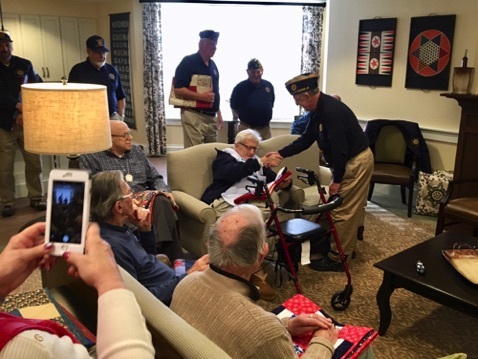 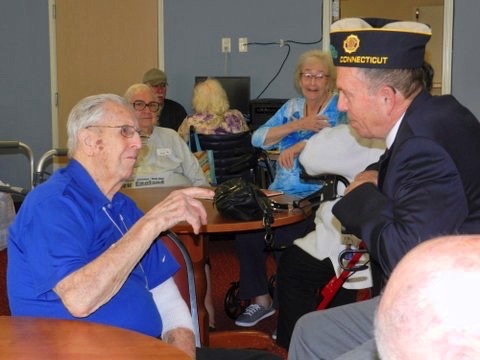 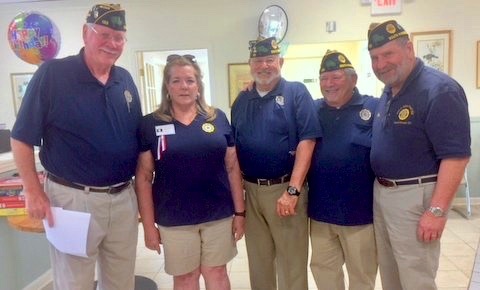 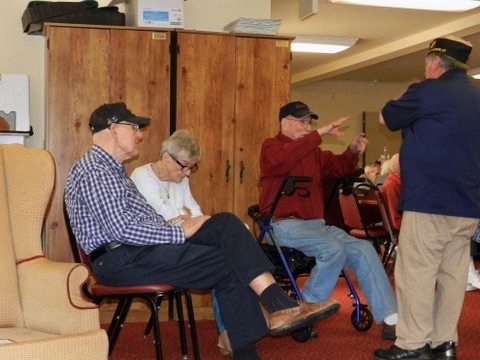 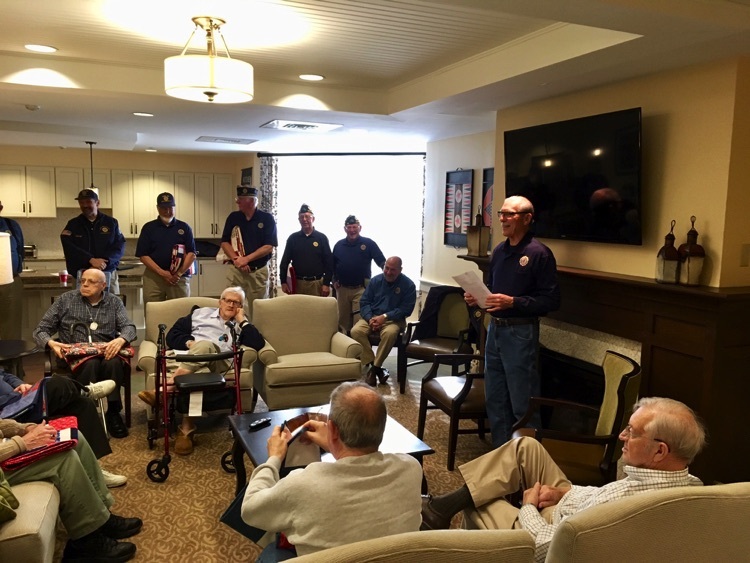 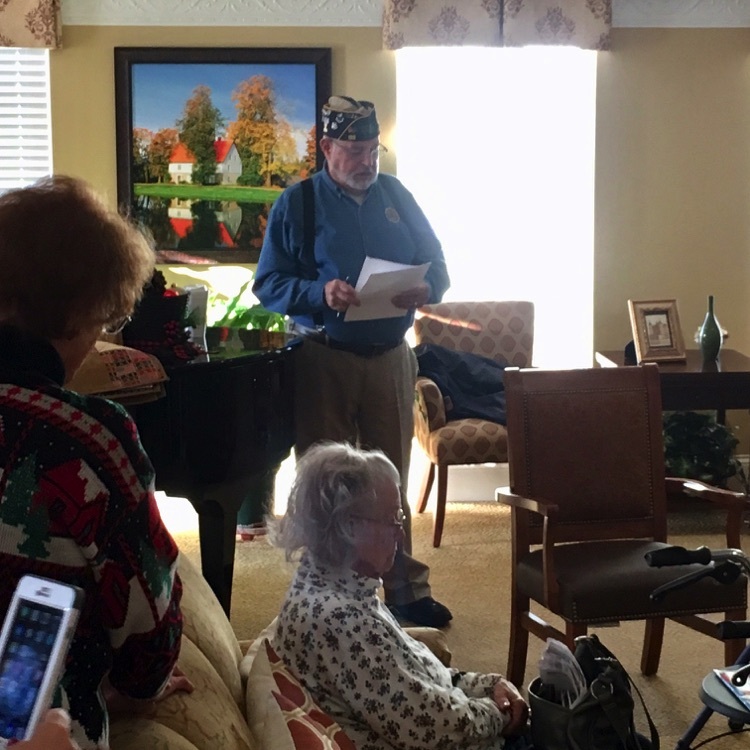 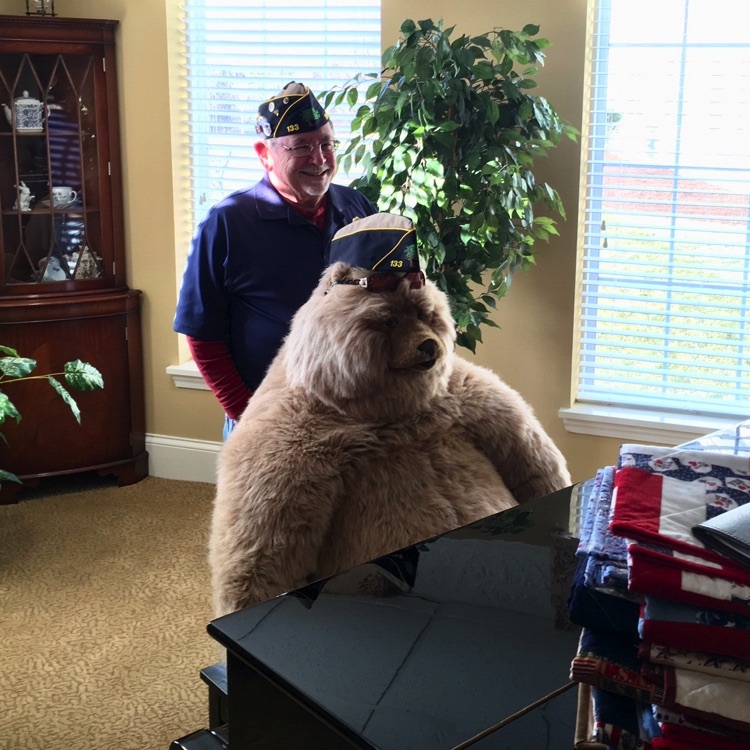 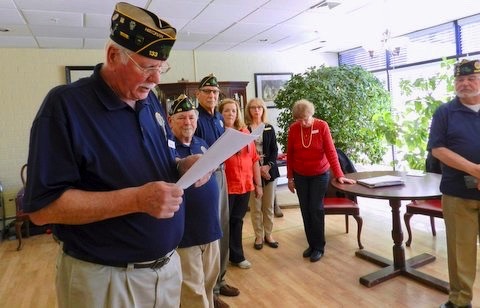 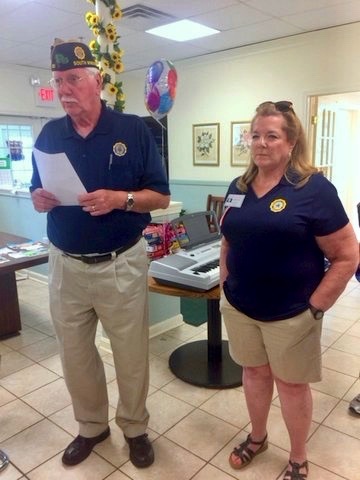 The veterans represent members of the Navy, Army, Air Force, Marines and National Guard. 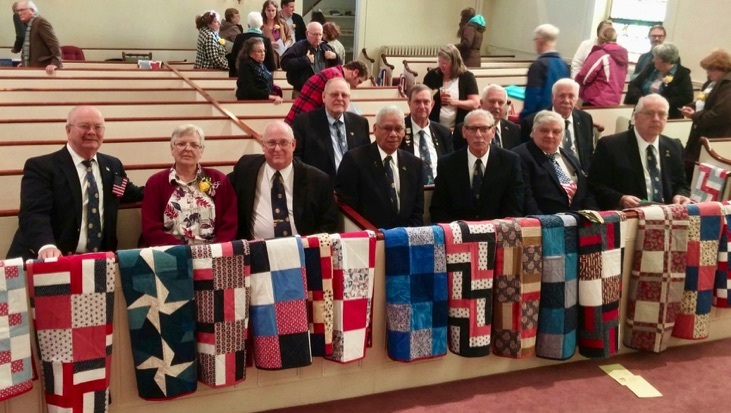 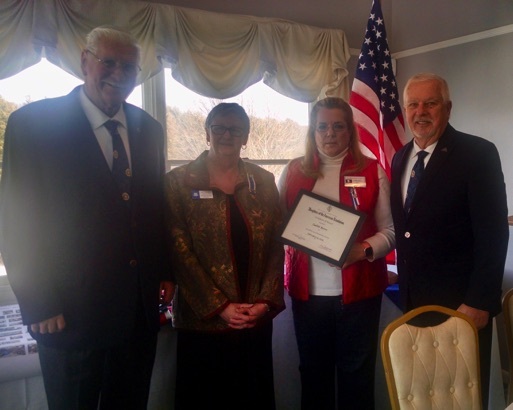 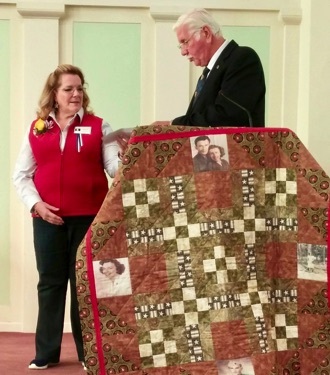 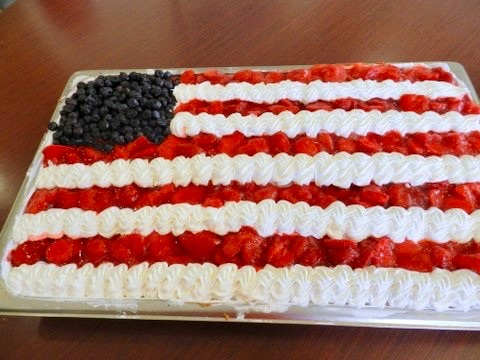 for forming the Sewing4Servicemen group.